Once upon a time, I was a huge college football fan. The moment my family moved to Nebraska in 2006, we bled red -- yes, that's the joke of Nebraskans. Being from Middle America, baseball and football always competed for first place, but the moment we ended up in Nebraska the deal was sealed. How sealed was it? Well, eight years ago, on this very date, I was recovering from quite the Nebraska Cornhuskers football experience. Note: In August 2003, I was a mere 19 years old. Yes, I was underage. Yes, I was drinking illegally. I don't endorse it by any means, especially in the raucous pre-football drinking that went on in my college days, but you live and you learn. And let's be honest, I wouldn't change any of it for a moment. we left for [a friend's] where there was drinking and laughing and consumption of wingzone wings and salads and pizza and beer and vodka and whiskey shots. first time whiskey shots that ran down the corners of my mouth. then we walked to the game in a sea of red like the exodus from egypt when the sea parted. screaming "GO BIG RED!" and hearing the echo of fans from all over scream the same back. laughing and walking and giggling and feeling ridiculous and -- perfection. there was something about the air. something about whipping my head back and closing my eyes and hearing the roar of the crowd and the thundering way it echoed around and around the stadium. 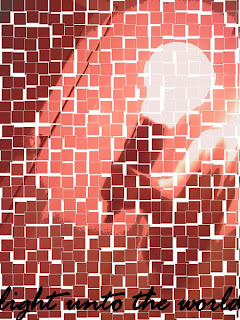 to see the wave moving slowly around through red and white and a small strip of orange. watching the crowd flap back and forth like corn waving in the wind when we scored. and our voices becoming sore not even half-way through the game due to screams and hollers for "go big red." and the drunken people around me falling all over and grabbing me and laughing and hi-fiving and screaming at the top of their lungs for hours on end was enough to make you burst into tears at the glory of the simple life. the whiskey shot stayed in the middle of my chest cavity for too long and the smell of skyy blue was in my nose. and the boys smelled of miller high life, the champagne of beer. For me, Nebraska football was an experience. That was freshman, sophomore, and junior year of college for me -- every weekend I was standing in the student section at Memorial Stadium, a member of the third largest city in Nebraska (on game day, that is). And then? I got over it. I'm not sure why, and I'm still nostalgic about my college-football-loving days, but being out East has made my passion for sports wane. In Middle America, football reigns supreme. The entire state gets involved in collegiate games. But out East, it's all major league baseball, paychecks and numbers. It's not the same. It's glamorous and kind of ridiculous. And I just can't do it. I think it's having a counter-effect, actually. That's my roundabout way of asking: Is it un-Jewish of me to not be into professional East Coast baseball? Because sometimes, I feel a little out there with my love of football. Sometimes, you just have to take your camera with you to the mikvah. Have questions about what it means to tovel or what exactly you do when you go to the kelim mikvah? Let me know. I'll try to answer! About a month ago, the kind folks over at Mosaica Press tapped me to write a review of "Why Be Jewish?" by Doron Kornbluth. Me being a bibliophile, I agreed to accept the book and write the review, as I do with so many books here on the blog. But with that disclaimer out of the way, I have to say that I honestly don't have much to say about this book. The author seems like it should be a declaration more than a question, but ... who knows. This book is just plain off on its intents. An increasing number of people regard being Jewish as a lifestyle choice rather than an unchangeable fact. Jewish identity no longer survives automatically. To stay Jewish today, each of us needs to find our own reasons why our heritage is important, inspirational, and relevant to our lives. Bestselling author Doron Kornbluth travels to over 50 cities a year to speak about Jewish identity. "Why Be Jewish" is touching, thought provoking, meaningful and funny. See which perspectives appeal most to you, and gain clarity and confidence in why you're Jewish. People identify as Jewish in vastly different ways, and as we try to understand these divergent and sometimes contradictory journeys, we must listen to narratives in order to connect to one another and to truly understand the question, Why Be Jewish? Now, although I describe the book that way, that isn't exactly how the book comes across. I admire the author for writing the book in honor of a teenager who was killed in a terrorist attack in Israel, and I admire the effort to express the colorful narratives of what it means to be Jewish and how each of us choose to express our Jewishness. But the author imagines these narratives. They aren't real. 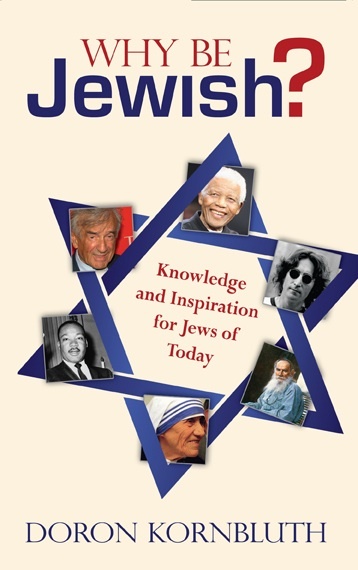 I kept having to go back to the introduction to figure out exactly what the book was doing, because each chapter is a different narrative about the choice and way in which ones Jewishness manifests. One would have thought that the author would use real-life narratives, but instead he uses imagined narratives of different people with different circumstances with different desires and backgrounds. My question? Why not just tell real stories of real people? Those are the most compelling. Not imagined narratives of what real-life people think. I want to hear it from the mouths of the real people! Overall, the book was a disappointment, and the cover of the book is confusing, don't you think? There are many collections of stories about being Jewish that are more powerful than the imagination can conjure, so why not stick to real stories by real people instead of one man's imagined Jewish masses. I grew up in Tornado Alley in southern Missouri, braving some really horrible storms and wall winds that we all knew were really tornadoes. When my childhood home of Joplin, Missouri, was decimated earlier this year, I felt Mother Nature's wrath echo in my bones. When my parents send me pictures in the winter of sheets of ice and trees turned into beautiful and dangerous pieces of Mother Nature's canvas, I cringe and remember what Nebraska winters were really like. 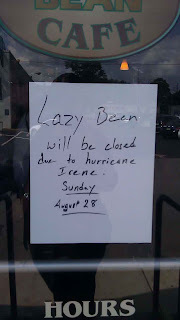 But when news of Hurricane Irene started flowing in, I couldn't make myself concerned or worried. I don't know. Call me crazy, but having survived wall winds and tornadoes and Nebraska winters, the weather and I just don't pay much attention to each other. I stayed up late last night watching the news on repeat, not because I wanted to, but because it was the only thing on. Watching Brian Williams uncomfortably banter with the local News 4 crew was, well, uncomfortable. I slept through just about all of the rain and damaging winds this morning, waking up late afternoon in order to find a lot of tree branches and leaves downed, but not much else. And now, I'm mostly lamenting the fact that nothing -- absolutely nothing -- is open to cure me of my boredom. Ho hum. Ho hum. What to do? I curse you Hurricane Irene, for your lack of harshness. I would have rather you washed New York into the ocean. At least then we'd all have something to actually write about. Note: I'm not trying to minimize the loss of life during Hurricane Irene in VA and NC, but let's be honest, the situation in NYC was a little ... unnecessarily intense. 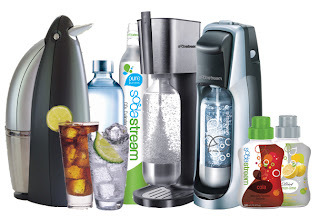 This is probably one of my best giveaways ever -- a SodaStream Jet Machine with a Flavor Pack! First, my love affair with seltzer. There are a few "Jewish" things I've never been able to stomach: herring, white fish, chopped liver (huge barf), and, of course, seltzer. I hopped on the gefilte fish and cholent bandwagon, easy peasy. I make a mean kugel and I'm partial to a good gluten-free kishke, too. I'm willing to try things, and believe me, I have, but most of them just never caught on with my white-bread, meat-and-potatoes Nebraska stomach. Then, during Passover, we managed to be at a lot of places where the options were largely water, tea, and seltzer. One can only drink so much water before one needs a little pizazz (and this is me about every three days; I have a low low-flavor threshold), and iced tea needs sweetener, which I'm trying to avoid. 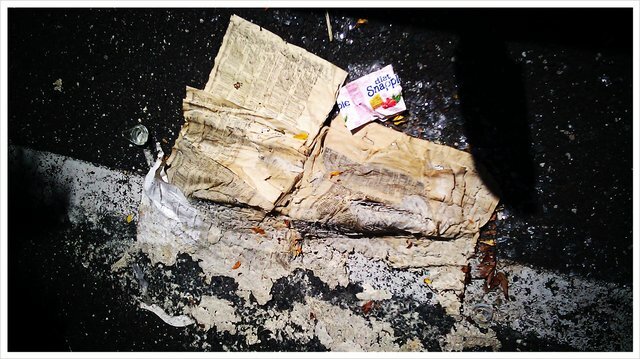 So I opted to give seltzer another go and the fizz kept me from every looking back. I ended up buying so many bottles a week that Tuvia was growing weary of the bucks and bottles on my newest habit. I came home one night before my trip to Israel in May to a SodaStream. Tuvia is in charge of the fizzing and flavoring, and I'm in charge of most of the drinking. For the most part, we drink the simple flavors of seltzer like Lemon-Lime, and we avoided a lot of the soda flavors that have most people jazzed about the SodaStream. But then a kind fellow over at SodaStream sent me an amazing package of flavors to try -- including some delicious diet flavors -- and Tuvia and I got to trying. My favorite? The Root Beer. Okay, everyone at the ROI Summit talked about how amazing the Root Beer was, but I'm sort of a Root Beer purist. Close seconds are given to the delicious Diet Green Tea with Berries and Blackberry Currant with Pear. I like the spritz of fruity flavors with the bubbles; it's a change to the typical fruity soda that's out there. The SodaStream is incredibly easy to use, and it's kosher for use on Shabbos! So you get your SodaStream, a few bottles, and you can make and serve delicious seltzer and soda over and over again to please even the most discerning tastebuds. (Man, I sound like a food magazine or TV show, right?) I also like that it's all kosher, and it cuts down on the amount of bottles we're using and tossing -- environmentally friendly! So how do you enter the giveaway? You have three ways to enter. Simply list in the comments what you did -- IN ONE COMMENT PLEASE. When you post multiple times for each thing you do it makes it hard to pick a winner. 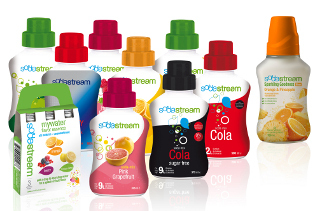 In the comments here on this post, tell me what clean, healthy flavor you would LOVE for SodaStream. 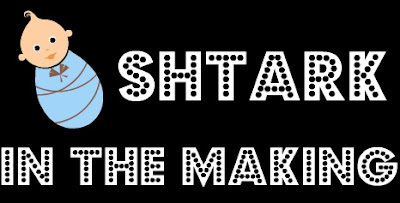 Tweet: "I just entered to win a @SodaStream and flavor pack on @kvetchingeditor's blog at http://www.kvetchingeditor.com!" Disclaimer: Contest ends August 30, 2011 at 10 p.m. Open only to U.S. residents. And if you didn't know, the products are produced in Israel! So you'll be doing something awesome for Israel, the environment, and your fizzy tummy. I know, it's ridiculous and self-aggrandizing, but I think it would be super awesome and fun to win this. What is it? Winners will see their about.me page featured across our campaign, including on a giant billboard in Times Square. In addition, three grand-prize winners will receive a trip to New York City to see their page in lights and attend an exclusive about.me event. 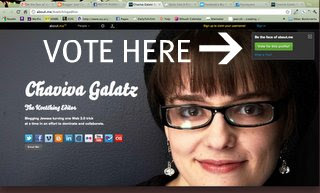 CLICK HERE and VOTE on the upper-right-hand corner of the page. DAILY! Please? I mean, a giant Jewess featured in Times Square would be awesome, right? I've been having a lot of really interesting conversations with people lately about kashrut, which makes me think back to some of my less-than-stellar days of refining the art of keeping kosher. It's a journey for all of us, and sometimes it takes years to really take on a full regimen of kashrut. Some cases in point? During the first week of classes at the University of Connecticut (where I was to get my first M.A. in Judaic studies), there was a big welcome cook-out over at Hillel, so I decided to go outside my typical box of comfortability in order to schmooze with the campus Jews. At that point, it was August 2008 and I had been an "official" Reform Jew for about a year and a half. I'd slowly been taking on more kashrut, especially after Passover 2008 when I decided that I was set for an Orthodox conversion. I didn't kasher anything, but I kept on my tradition of no pork and no shellfish (which I'd taken on even before I went to a Reform shul for the first time many, many years before) and decided I was going to avoid mixing meat and milk. While waiting in line at the cook-out to grab my own kosher burger, salads, and chips, I spotted little packets of ketchup, mustard, and ... GASP ... mayo! I started to get really nervous, looking around to see if anyone else was reacting to the mayo on the table. I mean, they said this was kosher meat and that all the fixins were kosher too, didn't they? Okay, okay, so I wasn't fully kosher, but I wasn't about to mix meat and dairy! Come on people! Yes. I thought, stupidly, for no apparent reason, that mayo was dairy. Yipes. The thing is, I never really ate mayo, so my ignorance should have been expected. Luckily, I didn't make an arse of myself by saying anything to anyone and instead Googled it the moment I got home. Can you imagine how stupid I felt? And then? Well, I made dinner as usual. Threw a chicken patty in the microwave, popped a piece of cheese on it, threw on some pasta sauce and voila! made my favorite dish of yore, Chicken Parm. I gobbled it up while watching something on my computer and then, suddenly, I realized what I was eating. Holy crap. What do I do? Do I make myself throw up? I didn't do it on purpose I started shouting in my head! It was an accident! What do I do!? Well, of course, I went to AskMoses.com. And the kind random person behind the computer told me that there was nothing I could do to make it better or to go away. Of course, the person behind the computer didn't know that I had only had a Reform conversion so technically, according to halacha, I'd done nothing wrong -- I was a non-Jew eating milk and meat together. No biggie, right? But the person talking to me at AskMoses.com talked me down, explained to me that it wasn't something I'd intentionally done, so while it was wrong, there was no way to repent, if you will. I felt better, I'll say that much, but man was that a serious flop. The thing about kashrut is that it's a journey, and it's one that isn't at all easy or always fun to travel on. I stopped eating pork and shellfish probably sometime back in 2003, long before I even knew there was a Reform shul in town. But I started there because I knew there was something I could start with that was easy to do and it would connect me to generations of religious and assimilated Jews. But after that, it took me until 2008 to really even consider the idea of separation of meat and milk completely, and even after I started, Tuvia and I still ate out dairy. But after I went to and returned from Middlebury, Vermont, in Summer 2009, I couldn't do the eating-out-dairy thing anymore -- I felt like I was cheating, being hypocritical. Not everyone feels that way, and I don't expect anyone to feel that way, but we did. And then? We went on that big journey of kashrut together. And now look at us -- we're all super frum with the kashrut. And it's still hard. I don't know if it ever gets easy. Every now and again I have cravings, strange cravings, for things like Chick-Fil-A and Chipotle and other places that, to be completely honest, I wouldn't be able to eat at anyway because I'm now gluten-free. Saving grace? Maybe HaShem is trying to give me an easy time? Probably not. Cravings are cravings -- they don't go away. But the nice thing is that with modern cooking, you can pretty much figure out a way to satisfy any craving with creative cooking. Likewise, leaving in Teaneck has us pretty spoiled foodwise. Don't worry about making mistakes. I grab the wrong utensil more often than I should, and we end up doing a lot of kashering (sorry Tuvia!). One of the wisest things I ever read (or was it heard?) was that as long as you acknowledge that there's a goal (in this case being shomer kashrut), then your mistakes and stumbles will not stand in judgment of you. Or something like that. Basically? As long as you say "I will, someday, be a kosher Jew," then your steps and missteps to get there will be accepted as growing pains rather than your downfall. Stick to your guns, and you can make it happen! Tonight, @enfini and I got word that @Extended_Vacay was in the hood having dinner, so we decided to walk over and say hello IRL (in real life), which was a true treat. I love @Extended_Vacay's Louisiana accent and quiet reserve. 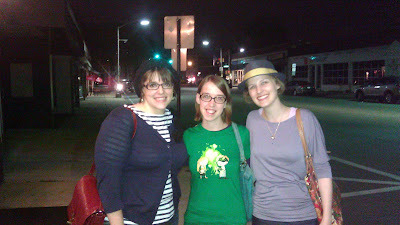 @enfini is wearing the radioactive shirt and @Extended_Vacay is rocking a stylish fedora! And even as she and her friends offered us some nosh, I didn't have the heart to tell them I was fleishig (they were at Mocha Bleu, a restaurant I don't recommend)! It was nice to meet yet another friend from the invisible and vast online world in the flesh. When I converted to Judaism, something I learned very early on during a marathon of Jewish and Holocaust movies (not to mention the show Dead Like Me) was the tradition of placing stones on the graves or headstones of the deceased. Where I come from (Christian Middle America), flowers are the item of choice for visiting deceased loved ones. It was a ritual that we partook in every Memorial Day when we'd drive to Kansas City and visit the graves of my grandmother, grandfather, and other relatives buried there. We purchased the plastic, tacky memorial flowers and wreaths, and at some point, days or weeks later, someone would be forced to come through and remove the harmful-to-nature plastic concoctions. In 2008, on a genealogy roadtrip, I found the grave of my great grandfather and great grandmother. Not knowing why, and knowing that they weren't Jewish, I placed stones on their graves. I never asked anyone why Jews don't do flowers at funerals or gravesites; it was something Jews do. It's part of the choreography of death, following the timeline of shiva (the week-long period of mourning) and matzevah (unveiling of the tombstone). Why didn't I inquire? I might have Googled it, or I might have read about it in a book, but it became part of my personal choreography of being Jewish. Sometimes, we just don't think about the things we do. But perhaps we should. So, when visiting the grave of a Jew, the custom is to place a small stone on the grave using the left hand. According to Wikipedia, "this shows that someone visited the gravesite, and is also a way of participating in the mitzvah of burial." Likewise, Rabbi Simmons of Aish.com says, "we place stones on top of a gravestone whenever we visit to indicate our participation in the mitzvah of erecting a tombstone, even if only in a more symbolic way." According to Talmud Bavli, Masechet Mo'ed Katan, in Biblical times graves were marked with mounds of stones (an example being when Rachel died), so by placing or replacing the stones, one plays a role in perpetuating the existence of the site and the memory of that person buried there. But the reality is that stones had been used forever for burial. In ancient times, bodies were covered with large boulders or stones to keep animals from picking away the flesh and desecrating the body. It likely didn't play any kind of religious or supernatural role, but more of a practical role. Perhaps our meaningful act of placing a stone on the grave of a Jew threads back to this practical set of origins. But when did that transition in understanding -- of practical to mitzvah-making -- happen? Who can be sure. Today, to place a stone on a gravestone says, to me, that I was there, I remembered, and I cared. Ultimately, it's more about the visitor than the buried, I think. What do you think? As an aside, matzevah actually means monument, and although there is no halachic obligation to hold an unveiling ceremony, in the 19th century it became a popular ritual. Some unveil the tombstone a year after the burial, some a week after the burial. (I've seen the former more than the latter.) In Israel, as it turns out, the stone is unveiled after shloshim, or the first 30 days of mourning. This blog post came out of my beginning to read "Jerusalem, Jerusalem" by the author of "Constantine's Sword" in combination with finding out that a dear family friend, Zitta Weiss, passed away on August 17. Zitta was a survivor of the Holocaust and an amazing and memorable soul. My first shiva call ever was at the home of Zitta when her brother died. And now? I suppose I'm coming back to where my Jewish bereavement experience began. Back to Zitta's home, but to mourn the woman herself. She was born on May 5, 1929. Baruch Dayan ha'Emet. Up until 1992, things were moving along smoothly in my life. It was my mom, dad, my older brother John, and me. We lived in Joplin, Missouri, and for all intents and purposes life was good. And then, mom got preggo with my little brother Joseph, and he entered the world on March 18, 1992. His arrival necessitated a lot of things, like a new minivan (that would proceed to catch fire about three times over the next ten years) and a huge choice: little brother or the dog. My older brother and I had lived our entire lives with a dog, Precious, but once the little brother was coming, my parents insisted that the dog needed to go. Precious had only snipped at one person, and that was my grandmother, and she was probably asking for it, but the dog went and the little brother arrived. John and I came home from school to find a neighbor from across the street (who doubled as a babysitter) at our place waiting for us. She whisked us off to the hospital where we met the little bundle of joy, who was named after the same grandfather from which my middle name comes. I was immediately in love with the kid, probably a result of that little girls like babies mentality. 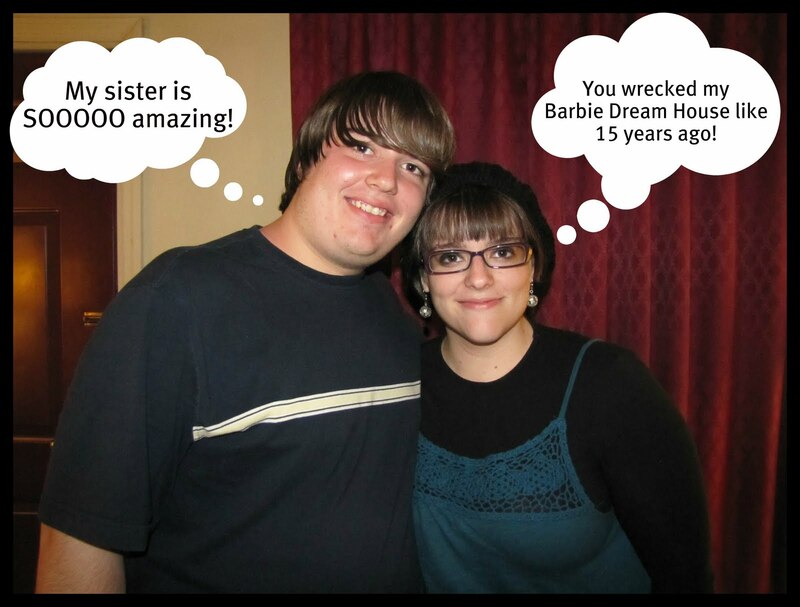 My older brother wasn't as stoked and attempted fratricide. I'm only half kidding, really. When I was a kid and we lived in Iowa, my brother shoved me down some steps in one of those rolling, bouncy things that are no longer made, and when Joe came along, John just happened to let him roll off the bed while we were watching him. From the beginning, I took on a very protective role with my little brother. Being 9 years old when he was born, I felt a duty to be a big sister like the other big sisters I knew around me who had siblings closer in age -- but better. I have more pictures of Joe than anyone in my family in all of my old albums. Remember: I started taking photos when I was in kindergarten, thanks to parents who understood that I was uber into photography. I have pictures of Joe on his favorite little red stool, laying on my day bed, playing video games, sitting in his car seat, and just posing in general. I was in love with this kid. He changed my life, my purpose, my everything. But he also was really annoying. I mean, he destroyed my Barbie Dream House on a daily basis while I was at school and he was constantly in my room for no reason. I loved him, but he was the typical annoying younger sibling for whom I felt more than responsible. When I was in elementary school, I ran around with a very specific group of friends, so specific, in fact, that the teachers and even the principal of Stapleton Elementary School in Joplin had a name for us: The Magnificent Seven. There was Jessica, Jennifer, Allison, Kendall, Annie, Chelsea, and me. We were peas in a pod and we did everything together. We bought BFF necklaces, we had sleep overs, we swooned over the same boys in class, and by fifth grade our friendship was so solidified that we managed to start our own little newspaper/zine that we sold. The zine had lists of all the hot boys and profiles about each of us, and with the money we made we ... embarassingly ... purchased a plaque and balloons as a fifth-grade graduation gift for our teacher, Mr. Eaves. We were ridiculous, it's true, but we were besties, for life. We had plans, big plans, to be friends forever. We were in charge of the fifth-grade class aviary, for pete's sake! During fourth and fifth grade, I left Stapleton to go to one of the other elementary schools for what was called the Enrichment Program. In fourth grade, it was a relief because Mr. Smith, our teacher, was a little loopy, what with making us watch Little House on the Prairie and having "parties" so frequently that I got sick of eating cheese and crackers. (Pretty sure he was later arrested for indecent acts with a child.) At Enrichment, we learned how to program computers, dissect a frog, and do gigantic projects that culminated in an end-of-year project presentation at Joplin High School (z"l). Fourth grade was wombats, and fifth grade was origami. I was such a nerd. But from what I remember about elementary school, it wasn't incredibly challenging. I was in a special reading group in the early grades because my advancement left me bored in class and, well, I was loquacious, as one teacher noted. I needed constant stimulation. Thinking back, I probably would have been given ritalin or something had they not known what to do with me. womens' section. Beginning of the end for me. But then middle school arrived. Sixth grade. A bigger school, more people, and some of my friends were going off to different schools, private schools. But Joplin wasn't big. I remember it being about 80,000 when we lived there, so I wasn't worried about losing friends. Thus, in 1995, I started at South Middle School, not knowing what my parents were cooking up for the family at that point. I was still in the Enrichment Program, but this time around it wasn't so much challenging as it was entertaining. We visited a Taxidermy Shop and went to this small donut hut for Coke in glass bottles (what a novelty!). The rest of school was frustrating and kind of a bore. My friends were making new friends and I was dressing in all black. The only class I really enjoyed was art class, and my mom still has some of my works up on the wall at home. Sixth grade was hard for me for many reasons, most of which I can't pinpoint today. I remember being more overweight than I had been in the past -- or, at least, for the firs time it bothered me. I was taller than all the other kids my age (for the first and only time in my life), too. And then? My parents told us we were moving to Nebraska. Nebraska? What is in Nebraska? My friends aren't there, our house isn't there, our town isn't there. What about Benito's (my favorite Mexican restaurant of all time)? Dad got a promotion, they told us, and he would be a regional auditor based in Lincoln, Nebraska, and we were moving on August 1, 1996. In the midst of middle school, in the midst of an image crisis that left me eating nothing but a Kool-Aid burst at lunch for an entire year, I was angry, but naive. I imagined my friends would come visit and that I'd visit them and everything would stay the same. That was partially true, but only for a few years. Of all of The Mag Seven, only one friend has kept in touch with me regularly over the years, and that's Jessica -- but not in the way we once were friends. Only 350 miles away, a six-hour drive, one would think that things wouldn't change that much, but they did. Chloe's on the left, Joe on the right. As an aside, I have to mention the role of baseball in my childhood, because it's summertime and, well, summertime in my world in Joplin meant one thing: pickles. Okay, that sounds weird, I know, but let me explain. My father coached and played on his job's softball team, and my older brother started playing ball back when he was Tee-Ball aged. Every summer, we were at the field pretty much every single day, with either John or dad playing. I was lucky that Jessica's dad was a big baseball buff and so she also was always out there with us. As kids, we used to wander around during the game picking up trash and when the bag was full, we'd race back to the concession stand for a free treat. Sometimes it was a Chick-o-Stick, but usually, it was a gigantic pickle. Other kids got ring pops or the dip sticks that go into powdered sugar, but I stood by my two options. When Joe was born, he came to the field in a stroller and as he got to walking, he would run around the park, too. Oddly enough, one of the other kids his age was born the day after or before him (I forget) and her name was Chloe. Back in those days, we thought Joe and Chloe were going to grow up and get married, what with their summer baseball romance and all. After we moved to Nebraska, Joe and Chloe would send each other little letters (of course, our moms were the ones doing it), but that, too, stopped. But that was life for me in Joplin: Baseball, baseball, and more baseball. In Nebraska that all would change. Football was the word of the day and my brother hopped on that bandwagon early. My friends would change, my ambitions would change, everything would change when we moved to Nebraska. I was a different person the moment we settled into our house in Lincoln and I started school in Fall 1996 at Goodrich Middle School. But that's for another installment ... stay tuned for the move to Nebraska, in which I stop wearing black, get into Nirvana and the Spice Girls, fall in love with JTT, start over again with friends in high school and ... oh wait. I haven't even mentioned my religious upbringing in these posts. But that's okay, y'all can find that in other posts. Some days I really realize how lucky I am. And then I wonder how I got here. Driving down Route 6 from our place in the Poconos between Lord's Valley to Hawley, PA where one of my favorite coffee shops is, the road is mine. They're starting to build up in spots, with large houses with vinyl siding marking the landscape as changing. Wooded properties are for sale as commercial lots, and I wonder what everything will look like in 10 years. Right now, however, it's me and the road, my arm out the window moving up and down with the current -- just like when I was a kid. Except this time, I'm driving. I was born Amanda Jo Edwards on September 30, 1983, at the Independence Sanitarium in Independence, Missouri. My mom probably didn't know it at the time, but that was Rosh HaShanah. She says it was a sunny day and that they hit every pot-hole on the way to the hospital. I was a normal-sized baby weighing a normal-sized amount. Without much fanfare, I entered the world. My middle name is meant to honor my dad's dad, Joseph Edwards, who died when my dad was a kid. The origin of Amanda is highly disputed (ha ha) -- one story says it came from a Reader's Digest story called "Amanda Miranda" while another says it was the name of a family friend with whom my parents bowled. At any rate, until I was about four, we lived in Overland Park (KS), then Cedar Rapids and then Des Moines, Iowa. My mom stayed home with us kids while dad worked for Wal-Mart in the early years and then took up a job working for the now-defunct building materials company Payless Cashways. My earliest memories are from when we were living for two years in Des Moines in a blue four-plex with a giant field next to it where we ran around and flew kites. I also remember there being a big K-Mart way, way behind our four-plex near one of the main drags in town. My mom says that we once watched hot air balloons land in that field, too. I remember the snow there being so high sometimes that we could tunnel through it, and all of those times I've lied about never making a snowman were put down with this picture. The kid in the middle is named Steven, but I have no idea who he is. The kid in the red snowsuit is my older brother, John. I remember getting chicken pox while we were living in Iowa, and I have a distinct memory of a trip to Baskin Robbins that left me in the car -- ill with the pox -- while the family enjoyed some dessert inside. and that barrett? Yeah, it's made out of balloons. I think it was in 1987 that we moved to Joplin, Missouri, which is in the far, far south of the state. Most people know about Joplin now because of the tornadoes that ripped the town to shreds recently. What I remember about Joplin mostly revolves around my friends, my school, my seven years in ballet (that began while I was in Iowa), my art lessons, and monthly visits to Branson, Missouri, where my grandparents and aunt and uncle lived. We'd visit Silver Dollar City -- an old-time theme park with glass blowing and candle-making and cookie decorating -- regularly and my mom has the tin-type photos to prove we were there regularly. Most of my scent memories come from this period of time, especially smells of winter like burning wood and cider and fresh-baked pie. Those are the kinds of scents that launch me back to being a child. We used to visit my dad regularly at his store on Rangeline Road in Joplin, which was near the Wal-Mart and not too far away from the Sonic we visited with shocking regularity. My dad had a normal-sized office with a fish tank in the corner, so we had to go there often to clean the tank. Us kids would play around with the stuff on my dad's desk and schmooze with the office staff. My favorite trips to dad's work were during Halloween and inventory. The latter because it was a late-night chance to hang out with his store crew, and the former because each of the departments would come up with creative ways to decorate pumpkins for an end-cap display. Plumbing was always the most creative, but they also had the easiest supplies to work with. My mom's albums at home are filled with those pumpkin pictures year after year. I also liked the familiarity that the employees had with me -- they knew I was Bob's daughter, and as such I had a sense of freedom and entitlement when I walked through the sliding doors. I was someone, and I was going somewhere! We lived in a red, brick duplex at 1921 East 33rd Street -- an address I can't forget. Before we moved into the house, we went to visit and check the place out; that I remember. I recall my older brother and I playing Mousetrap with the tenant's daughter in the basement. We had a single tree outside in our front lawn that we'd decorate with hanging plastic Easter eggs in the spring and a yellow ribbon during the Gulf War. Below my window in the front of the house -- the big room -- was a line of those gigantic bushes that manage to live year-round. I got the big room in the front of the house out of pure luck, I think. The room had my gigantic multi-level Barbie Dream House, my white daybed, a walk-in closet that I remember being larger than life, and a three-tiered white shelf that matched my bed upon which rested a gum ball machine fish tank. By chance, my room also had a TV with the Nintendo hooked up to it, so the room was never truly mine. In fact, I have happened upon numerous photos of my mom or brother laying on the floor in my bedroom playing video games. Imagine!My parents' room was in the basement and my older brother's room was across the hall from mine next to the bathroom. We had a nice-sized dining room, a beautiful living room with a fireplace that had these huge wood shelves flanking it, and a kitchen that I also remember being huge, with a big, beautiful island and a skylight. In the back yard, mom sometimes grew vegetables in a corner garden that was blocked off by gigantic two-by-fours. Our neighbor, on the other side of the duplex, also was our landlord, and the houses that surrounded us I remember being much larger than ours. Our duplex seemed to be part of a different edition onto the neighborhood. When we were kids we always collected for the MDA Telethon, and I remember going to all of the gigantic houses in the neighborhood that were larger-than-life to ask for pennies and dimes for a cause I didn't really understand. But our duplex suited us fine, even after the horrible storm full of "wall winds" that destroyed our basketball hoop attached to the garage and sent us running to the basement. My older brother, John, in front of our garage with the Taurus. I was a normal kid doing normal things. Ballet. Art. No sports, no camp. We took trips to Tulsa to the zoo and Celebration Station and to Springfield. Sometimes we drove up to Kansas City to visit family there. We never took any big vacations to anywhere interesting. In fact, we didn't really depart from the environs of Kansas, Oklahoma, Arkansas, and Missouri. But as a kid, I didn't know there was anything outside of that world. I had my friends, my family, and a dog named Precious. Stay tuned for Part II ... in which my little brother is born, we get rid of our dog, move to Lincoln, Nebraska, and I am hit with the reality that my friends aren't still my friends. I really like reading and writing about the weekly Torah portion, or parshah, but I know that it isn't a highly read thing here on the blog. I'm here to cater to my readers, but sometimes I just have to get some thoughts down on the page and hope someone appreciates them. 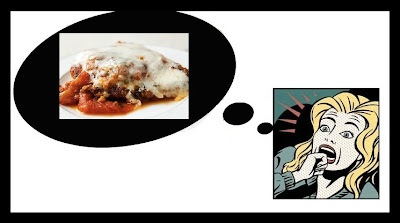 No guilt or anything, of course, but I have some thoughts about this week's parshah, Eikev. And He afflicted you and let you go hungry, and then fed you with manna, which you did not know, nor did your forefathers know, so that He would make you know that man does not live by bread alone, but rather by, whatever comes forth from the mouth of the Lord does man live. Bazinga! Intentional or not, there's a juxtaposition with a point here. Moshe knew that man does not live by bread alone, so his hunger upon the mount was met with the words of HaShem, and that was enough. I suppose this is a powerful lesson for those of us that struggle with food, eh? And, of course, I would be remiss to not mention the following phrase from Deut. 10:19 to love the ger or stranger in your midst. I hate to argue that this doesn't mean convert, because I know that later, in the Talmud, anything related to ger is referred to as meaning convert. In the Ancient Near East, people did float from religious entity to religious entity quite freely, but I don't know how actually prevalent it was for one to truly "join" the Israelites. It is possible that there were those who lived among the Israelites out of admiration or a sense of justice, and it likely was a situation much like today in Israel where refugees flee because of this very sentiment -- love the strangers in your midst, don't shun them or treat them poorly because you know what that felt like once upon a time. The theory is that Jews do so well no matter where they are because they know what it's like to be the minority. Thus, the assumption is that we tend to be a little more forgiving to those unlike us because we know how it feels to be the odd man out. My camera has failed me on visuals once again, and for that I apologize. However, this post will be a true challenge of adjective mayhem -- I must describe to you, as best I can, the glory that is Fun City in West Nyack, NY. Okay, yes, the kind folks at Fun City, which just opened, were kind enough to have me and Ally over at Modestly Fashioned for a little press preview of the joint. Now that that's out of the way, you know me and you know that I tell it like it is (remember my review of Susie Fishbein's new cookbook? HONESTY). So I hope you'll believe me when I say that Fun City is my new favorite place and I actually intend on celebrating my next birthday (that's September 30) at Fun City, despite having no children or nephews or nieces around to schlep with. The day began with a drive out to West Nyack, which honestly is a quick trip from Teaneck, to the Palisades Mall. We got there with absolutely no clue where in the mall the place was, but luckily the nice lady at Customer Service let us know that it's down next to the Journeys. Hopefully Fun City will be added to the mall map, but until then, just look for Journeys (the shoe store) and you're there. I had never been in this particular mall before, but it reminded me of CostCo crossed with the Tel Aviv bus station -- it had exposed piping and the floors were a dark gray cement. It felt very ... industrial. When we got to Fun City, we were introduced to the basic gist of how the fun center came to be. You see, three families got together and decided that this empty space in the mall was perfect for creating a fun recreational space for all ages complete with kosher food, the only NY location of the live-action game MagiQuest, mini-golf, bumper cars, an arcade, laser quest, a party room, a mini roller-coaster, and more (really, more). When you walk into the Fun City location, the first thing you notice is the towering behemoth of a screen featuring MagiQuest, and the rest of the activities sort of flow over you as you begin to look around. We each got a pre-loaded card for the arcade games (I love that it was all electronic and even your ticket winnings are kept on the card) for a few bucks, and we got set up with our very own wands for MagiQuest play. These aren't our wands, but this is the gist of what they look like. You get a guidebook to help you, too! Now, Ally and I were pretty skeptical. I mean, neither of us are gamers, and I've never been into that Dungeons and Dragons kind of world, but we were willing to give it a go -- it was free after all, so what was there to lose? You choose your character style -- so I went with Malkah, one of the royal class, and Ally went with one of the nature dwelling characters and called herself Teva. Our guide led us into a room that gave us the MagiQuest 101 tutorial, and we were off. At first, we were pretty ... confused. But after we each started a quest, we were sold. And I mean that. We were completely into it. We lost track of time, we lost track of space! We did three quests and only put the kabosh on our time because we wanted to explore the rest of the facility (we're going back, and taking our husbands, and we will CRUSH THEM!). We sampled the food offerings, including the pizza (which Ally said was outstanding), ice cream (Klein's), and french fries. I suggested they hop on the gluten-free pizza bandwagon, and they seemed perceptive. I'm really hoping that they'll include it soon for all those Celiacs out there. Also? Nachos would be a super easy option! 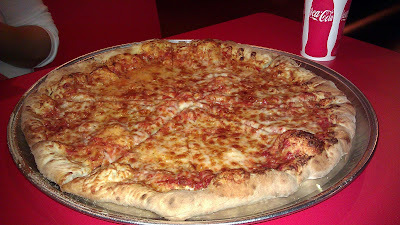 I have pizza envy. HUGE PIZZA ENVY. The arcade was small, but fun. I hadn't played skeeball in ages. We considered mini-golf, but decided that we'd spent so much time playing MagiQuest, we'd save it for our next adventure. Ally and I left pretty blown away at the facility, the food, and the management. The one major question we asked the management, actually, because there is Orthodox Jewish ownership, is whether they were expecting an outcry against the inclusion of MagiQuest in the facility as a form of avodah zara (aka idol worship or strange worship). There have been outcries against things like Harry Potter and other "fantasy" type books and movies, so we were wondering if there was a concern. The management said that walking through the mall, kids see much worse things, so this isn't really going to blow anyone out of the water. Good answer! Also, I'm guessing the super frummies out in Monsey won't be going into a mainstream mall anyway, so it probably won't be a problem. So, listen, if I have my birthday party at Fun City, will y'all come? I'm so serious. My friend Neal had twenty-something birthday at Chuck-E-Cheese and it was amazing. There's nothing like getting to be a kid for a few hours every now and again, right? Go like them on Facebook and get going to Fun City already! Two things, because they've been on my mind a lot lately. One: Starbucks Frappuccinos are not kosher, period. At all. If you are shomer kashrut, there are a million other drinks you can get at Starbucks that are fine, but Starbucks changed from its coffee base to a creme base last year, and that base no longer is certified kosher. Mmk? Mmk. Two: The Kotel, aka the Western Wall, is not -- I REPEAT -- not a part of the Second Temple, which was destroyed in 70 C.E. The wall is part of the remnants of the Temple courtyard wall. That is all. That second one really grates my cheese. We mislead Jewish children in school and on trips to make them think it's a remnant of the Temple, when it isn't. Yes, it may be all we have left, and it's a place of historical value and definitely a place where one can become close with HaShem, but ... well, we've turned it into something it isn't. Is that good? Is that bad? I don't know. All I do know is that I wish more people knew what it really is. I desperately want to take y'all on a tour of my closet. Why? I'm not sure, but it struck me today that someone probably wonders what a frum (observant, Orthodox, etc.) person's closet looks like. Is that weird? But, alas, my camera is off at the shop. Sigh. Maybe I'll see how using my cellphone to video goes. Only, of course, if y'all are interested. I thought it might be a nice capstone to The Tzniut Project, which for all intents and purposes has ended. I'd really wanted to make this a vlog, but as the fates would have it, my beloved camera is in the shop somewhere in Virginia. Yes, I know, I could record this on my computer, but for some reason the quality just isn't where I want it, so I'd rather write it all down. The topic? Why, mikvah -- aka the ritual bath that Jewish women visit once a month after their niddah period -- of course! The mikvah is sort of like a spa these days, with many of them being done up in marble or faux Jerusalem stone. You get a robe, some nice towels, makeup remover, nail polish remover, and everything else you need to beautify yourself before dipping thrice in a well-heated pool of all-natural water under the watchful eye of the mikvah lady. I've written about it before -- give it a read. I thought I'd make some observations/questions that are, for the most part, unconnected, but relevant. Mikvahs should be more like Bingo Parlors than they are. You know what I mean, right? Okay, so at Bingo Parlors enthusiasts bring all their little toys and lucky items with them. When I walk into the mikvah prep room where the tub and sink and toilet and all the fixins to beauty are, I feel like I should have a little altar set up with all of the things that I need/want to feel at home at the mikvah. It made me wonder: Are there women who bring in a bottle of wine and some candles and set them up for a relaxing prep experience? Because, to be completely honest, I'm considering it. 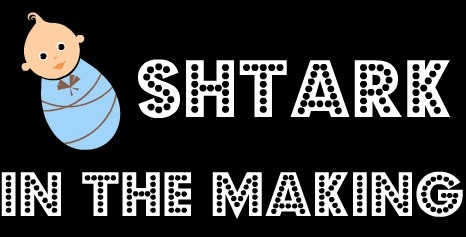 People should leave their cellphones at home, in the car, or at least in the "silent" position while in the mikvah prep room. I mean, as much as I like hearing your creative ringtone while I'm trying to center myself for the big dip, I'm really not so interested in the interruption. Question: Can I hit the "Ready" button before zman? Explanation: So the mikvah opens about 30 minutes or so before you actually can dip, so people show up early, get ready, so that the moment it's kosher to dip you can do it and get out of there. I realized the last time I was at the mikvah that I was the last person to go in, despite hitting the button at zman time. Should I hit it whenever I'm ready to dip, even if it's loads of time pre-zman? I've realized that going as early as possible and taking my time with a bath is more rewarding personally than going in for a quick shower and zooming my way back home. Why? Well, how often do you get to take a nice bath in a nice, clean facility at your own pace? This plays back to my first comment. Picture it: bath, wine, candles ... oh wait, you can't dim the lights. Scratch that. I wonder what old-world mikva'ot looked like. I'm talking shtetl-style digs. Clearly they're not like the ancient mikva'ot we uncover, but they're nothing like what we have now. I'd love to see a mikvah circa 1700 in the middle of nowhere Eastern Europe. How do I convince my husband to do all sorts of fun prep and stuff like I must on mikvah night? Bribery? Food? And, lastly, would it be wrong for me to bring some goods to tovel into the mikvah when I go in for the big dip? I mean, I don't think I'd really ever do it, but ... I'm intrigued at the thought. Have questions about the mikvah? Funny experiences? Hit me up! Photo taken and graphic made July 26, 2004. Once upon a time, in 2004, I properly observed the no-food, no-drink fast of Tisha B'av that starts Monday night for the first time. The fast, in a nutshell, commemorates a variety of tragedies that have befallen the Jewish people, most notably the destruction of the Second Temple in Jerusalem in 70 C.E. So what did I have to say on July 26, 2004? Tonight begins Tisha B'av. If you don't know what that is, feel free to click here: Learn about Tisha B'av! It's a day of fasting, low-key activities, and reflecting on the destruction of the Second Temple. It's the first holy day of the yearlong cycle for me. I'm kind of excited to participate in my first fast of my path to Judaism. It sounds ridiculous, but I feel a part of something. Ok, so fasting is hard. Especially when you promise to meet someone at THE COFFEE HOUSE and then remember you can't drink/eat in respect of the day. So I slept in as late as possible in order to not have to be awake and then went to the coffee house around 3 p.m. and there was Gregory. We sat for about 2-1/2 hours doing our respective tasks and talking in between about the holy grail, Christianity, Atlantis, people, Oasis, music, and everything else you can imagine. I absolutely love my time with Greg because he makes me laugh, a lot. Which I shouldn't have been doing on a day such as today, but I couldn't help but laugh. And now, now I'm here at the DN doing my normal thing. I'm starving though. For pancakes. Chicken tacos. Anything. Everything. Aghhh! Especially coffee. I found this quote from MARK TWAIN, which appeared in HARPER'S in SEPTEMBER 1899: "All things are mortal but the Jew; all other forces pass, but he remains." It made me brilliantly happy, it did. It makes sense, as well. It seems that although numbers of Jews have decreased, the continuity of the people is what stands and stands tall, might I add. Ahh. I need to occupy myself for the next several hours. Agh. The sunset is scheduled for 8:47 p.m. folks. It will be a long two hours. Help? Maybe I'll go use my free ticket to see Cat Woman? Tisha B'av in 2005 is a void -- I have no record, and I can't recall what I did or didn't do. Did I fast? Did I even get what fasting involved? I was in Denver, CO, interning at The Denver Post, so chances are I was busy sleeping and then working, and chances are I broke my fast by going to Subway for the Teriyaki Chicken sandwich. But that's just a prediction. Who knows what really happened. It isn't just about religion, it's about the people and the history and the furthering of the existence of Jewishness. I suggested that if everyone in the world spent a single day fasting and reflecting on destruction, drought, disease, war, famine, oppression, abuse, and inequality, perhaps we'd all be startled into action. But maybe it's a naive hope. After all, as I said then and I say now, What do I know? I'm just a Jew from Nebraska who grew up in the Ozarks. In 2007 I wrote about my frustration with the sentiment that on this day we "mourn for a life we no longer want." I was wondering -- and still am -- whether if/when the Temple is rebuilt (G-d willing), will we still observe sacrifices in the same way? Or will the messiah come with some ethically evolved plan for sacrifice that is inline with how we observe things today. Finally, in 2008 (and last year) I wrote about how I felt distant from Tisha B'av, as if I were just going through the motions. Will I sleep all day and wake up to check blog posts and see everyone else's meaningful and positive declarations of Tisha B'av observance on Tuesday? I don't know. What I do know is that I plan to read -- and read a lot -- on Sunday night and Monday in hopes of properly preparing myself for Tisha B'av. And, as the saddest day on the Jewish calendar, I think it's only proper to consider what it means to bring light into the world. To mourn a loss of light in our time, but to imagine a restored light. I suppose by emptying ourselves, literally, of food and drink, we have a chance to fill that place inside with light -- a light that can move outward through a fight for justice and peace. I hope that everyone who observes the fast to finds a unique meaning in it, and for those who don't observe the fast to still consider what it means to fill the darkness of the world with light. 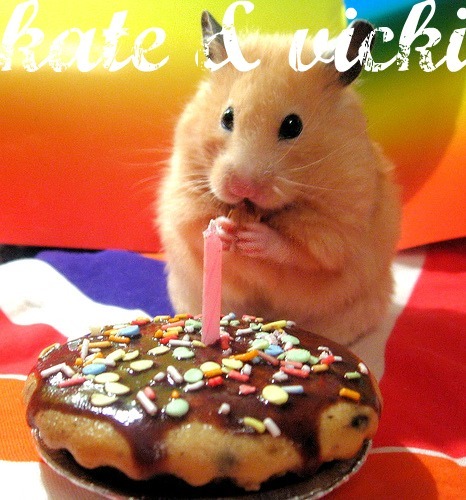 I want to say a HUGE "Happy Birthday" and "Yom Huledet Sameach" to two of my most favorite bloggers and friends: Kate and Vicki. After a quick road trip to visit my awesome little brother Joseph (aka Joe, Joe-Joe, Broseph, Yosef, Josephina -- come on, he's nine years younger than me, I can get away with these things), I'm back up north and exhausted from the humidity and heat of South Carolina. Lots of fun pictures to come! 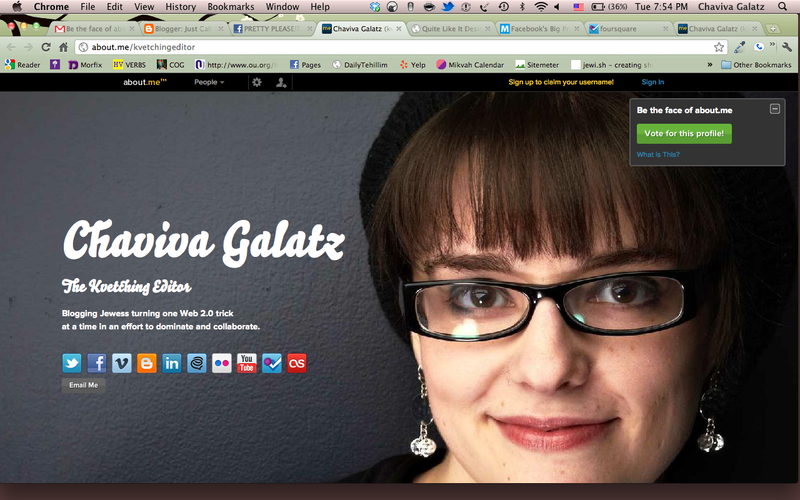 Any blog post requests?